Student loans are a burden. They are often large debts, leaving borrowers saddled with massive monthly payments for years, even decades. And that’s what makes finding careers that will pay off student loans enticing. While it sounds like a thing of myth, these options actually do exist. There are careers that will pay off student loans, as long as your child meets the criteria. If your child already has student loans, or if they are still exploring career options, then pursuing one of these career paths can help alleviate that burden. To help you both get started, here are some career options that potentially come with this benefit. In an effort to encourage more people to go into teaching, the federal government created the Teacher Loan Forgiveness Program. After your child teaches full-time for five complete and consecutive academic years at a qualifying low-income school or within an educational service agency, they may be eligible to have up to $17,500 of their Direct Subsidized or Unsubsidized Loans, including Federal Stafford Loans, forgiven. Additionally, some states or individual districts may offer additional incentives on top of the federal program, making these careers that will pay off student loans work faster than other qualifying teaching positions if your child’s debt exceeds $17,500. Another government offering, the Public Service Loan Forgiveness Program includes more careers that will pay off student loans than most other options. The government alone hires professionals in nearly any specialty, so your student may find more opportunities that align with their career goals in this category than any other. For example, they need everything from IT workers to health professionals to law enforcement, and everyone working for a government agency or department may have found one of the careers that will pay off student loans. However, it does take longer to be eligible for forgiveness, as your child will have to make 120 qualifying monthly payments while working for an included organization before the remainder of their debt can be forgiven. Certain medical professionals can have their student loans forgiven through the NHSC Loan Repayment Program. Additionally, a minimum of a two-year commitment at a qualifying organization is required to get started. And the amount your student will receive in forgiveness during that time varies based on where they are working, whether they are full- or part-time, and a few other factors. But, with time and diligence, these are careers that will pay off student loans in their entirety, no matter the balance. Your child may be able to have up to 85 percent of their unpaid student loans used to support their nursing education covered by the Nursing Corps Loan Repayment Program. Your child would also have to work in an eligible Critical Shortage Facility in an area deemed high needs or an accredited school of nursing if they choose the faculty route. If your student chose veterinary medicine as their major, then they may qualify for the Veterinary Medicine Loan Repayment Program. Just as with many other programs, the careers that will pay off student loans are typically located in high-need areas. Additionally, a three-year commitment is required. But, for each qualifying year, the program pays up to $25,000 towards the person’s student loan debts. That’s a respectable chunk of change. In exchange for working for the Department of Justice, your student may be able to earn up to $60,000 to put towards their student loans. It requires a three-year commitment, and your child would need to have at least $10,000 in federal loans to join the program. Many programs are controlled by individual states, so your child may be eligible for a range of options depending on where they choose to live or work. Often, these programs are reflective of specific needs the state may be experiencing, such as a nursing shortage, as they are designed to help draw people into the state who have suitable skills. However, it is certainly worth exploring, especially if your student is open to relocating. Some private companies offer careers that will pay off student loans. In some cases, these are used as hiring incentives inside a candidate’s employment offer. Others are more universally accessible by anyone working for the organization. Typically, information about the latter can be found on the company’s website. Even if they don’t offer a formal program, that doesn’t mean your child can’t try to get some repayment assistance worked in when they negotiate for their salary and benefits. Now, this can be challenging and is often dependent on your student having a particularly desirable skill set. But, with unemployment being particularly low in a number of sectors, it certainly can’t hurt to ask whether that is a benefit the company is willing to offer. Often, programs that provide your child with a chance to have their student loans forgiven in exchange for working for an organization require a formal time commitment. Usually, they will need to work in the qualifying field or with an eligible organization for years, if not close to a decade. The penalty for not fulfilling the commitment may vary, so it is important to research this point before your child signs on the dotted line. Additionally, they may have to work in a particular city or low-income area, so using this path may dictate where they need to live to make it happen. If you want to ensure that your child doesn’t have to worry about choosing careers that will pay off student loans, then make sure they explore scholarships! 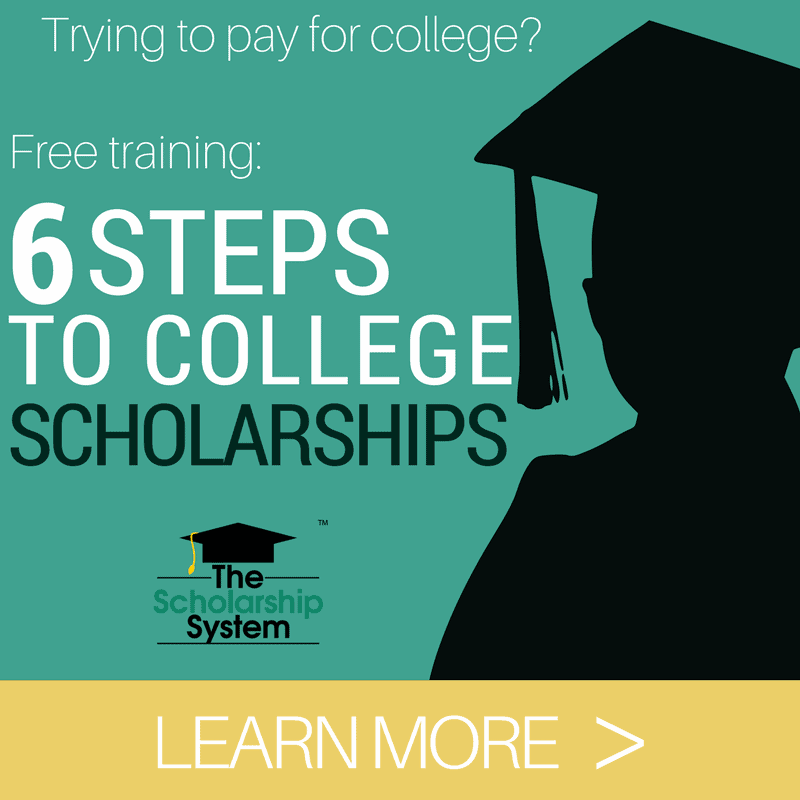 Scholarships don’t have to be repaid and make it possible for your student to graduate from college debt free. Did you find this article helpful? If so, share it with your friends and family so they don’t forget anything either!